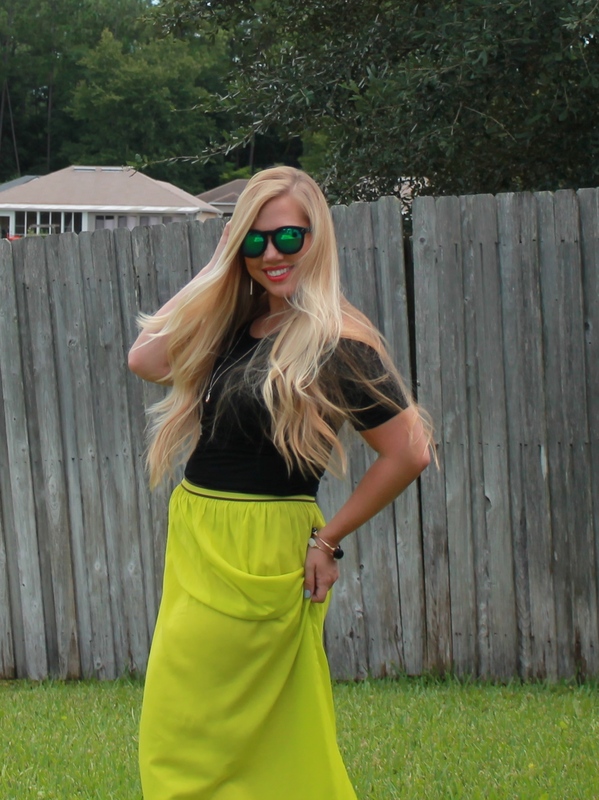 So I’ve never posted details about an outfit on my blog before, but I’ve had a ton of people ask me about my lime green maxi skirt, so I figured I’d share the deets with y’all here! This outfit is perfect for a casual afternoon around town or a romantic date night, and is definitely a head-turner. I mean, with a bold color like lime green how could it not be? 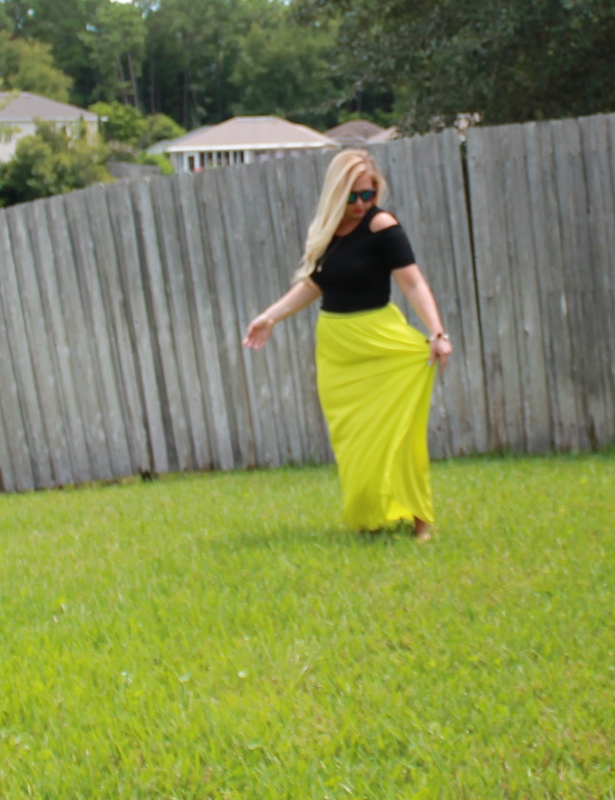 I’ve been looking everywhere for a fun, flowy maxi skirt for a summer-to-fall transition piece, and haven’t found one I’m in love with yet. 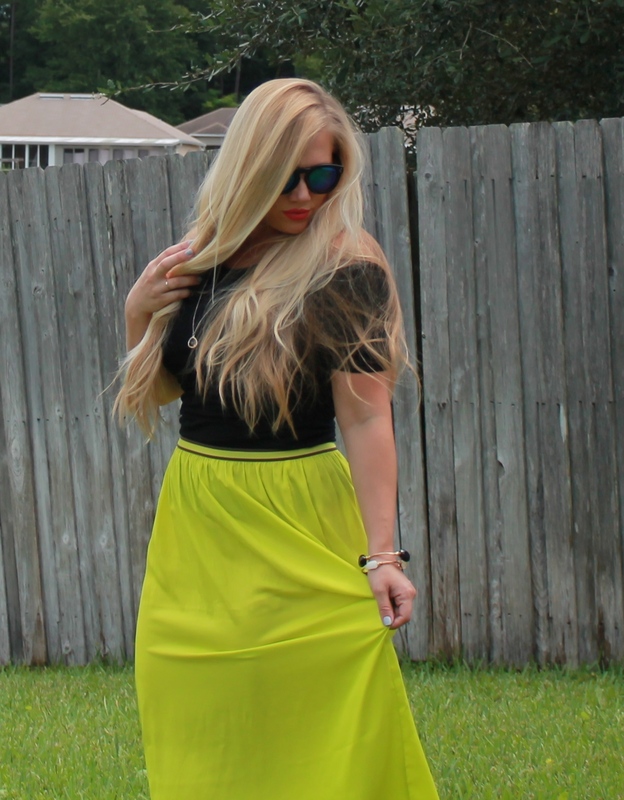 This skirt, that I happened to stumble across while shopping for workout gear at Old Navy, isn’t exactly what I had it mind, but it’s a fun statement piece that I just couldn’t pass up. It has a thin black stripe across the waistline which makes color pairings limited, but easy at least.